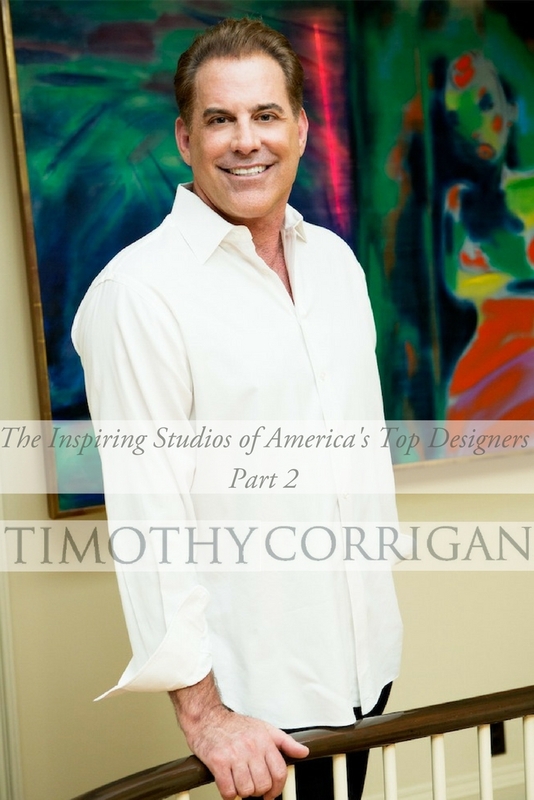 It is with pleasure that we bring you an exclusive interview with renowned international interior designer, author and product designer, Timothy Corrigan, for Part 2 of our new series on “The Inspiring Studios Of America’s Top Designers”! 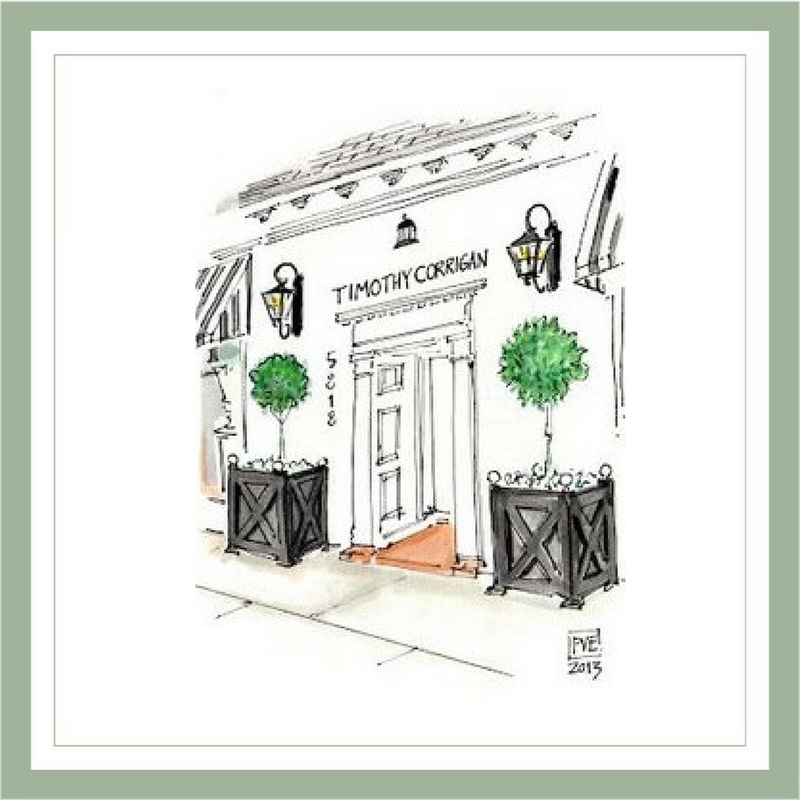 Before we continue, though, with our sneak peek and interview, here’s a bit more about Timothy Corrigan, taken from his website, for our readers who may not yet be familiar with his work. 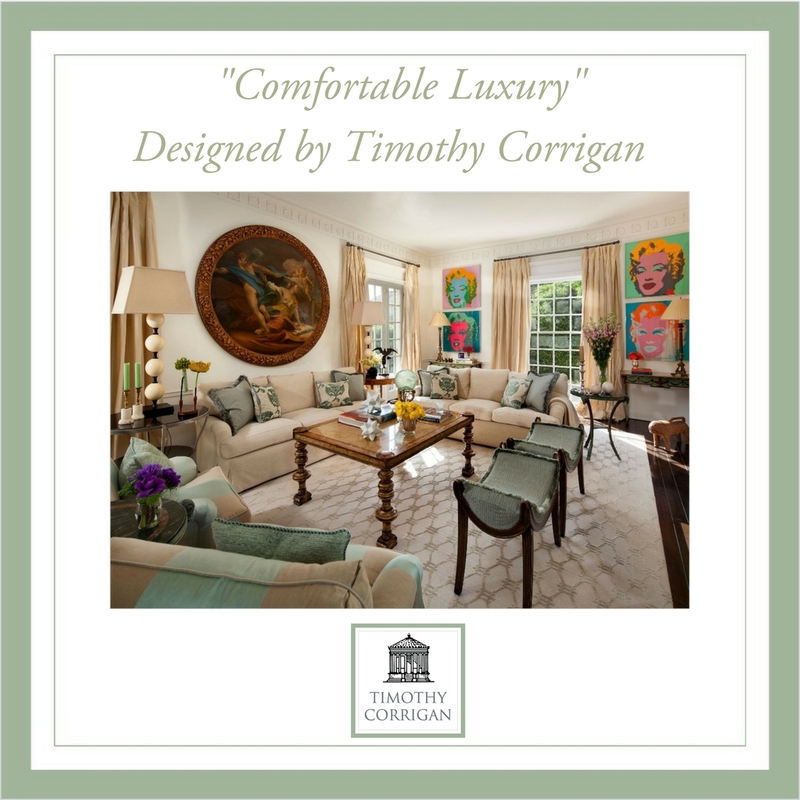 In January 2017, Timothy received the “Design Icon” award from the Las Vegas World Market & Design Center and he was the first American designer honored by French Heritage for his restoration of several national landmarks in France. 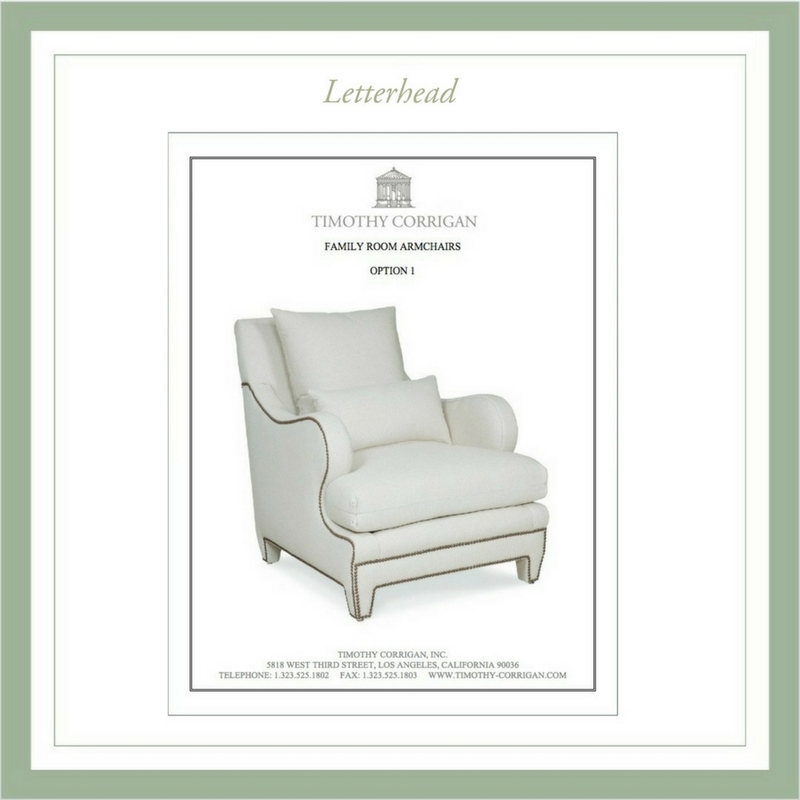 Timothy has designed fabrics, trims, furniture and floor covering for Schumacher and Patterson, Flynn & Martin, as well as two tabletop collections for Royal Limoges. 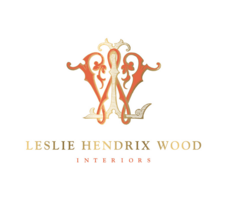 His collection of plumbing and door hardware for THG Paris debuted in March of 2017, and his passementerie for Samuel & Sons, wallpaper for Fromental, and furniture for French heritage company, Moissonnier, will also debut in 2017 and 2018. 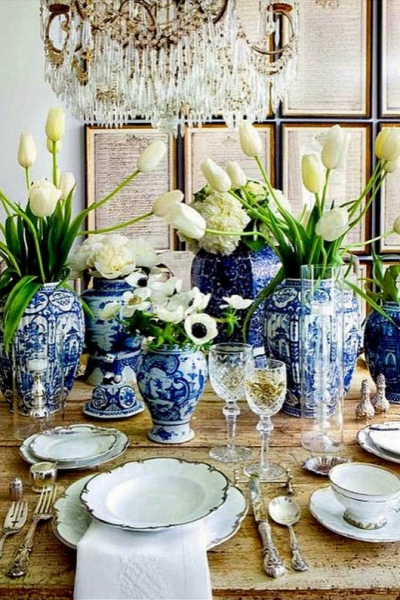 His book, An Invitation to Château du Grand-Lucé, is a lavishly illustrated monograph that highlights his design philosophy and brings to life the fundamental principles at the heart of his work. 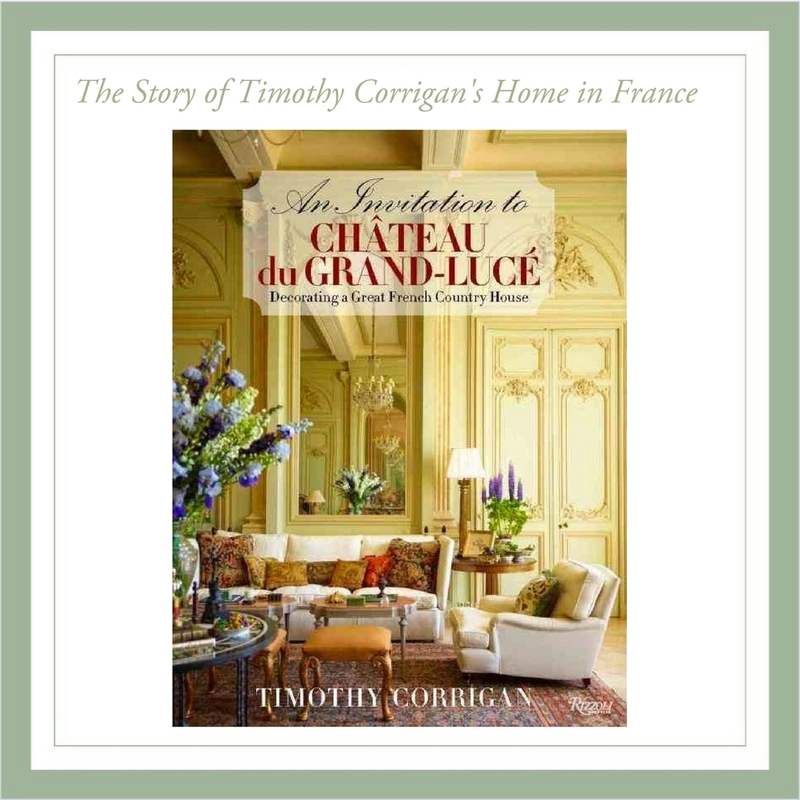 Published by Rizzoli, the tome chronicles the restoration that he conducted of his 18th century French country house in the Loire Valley. 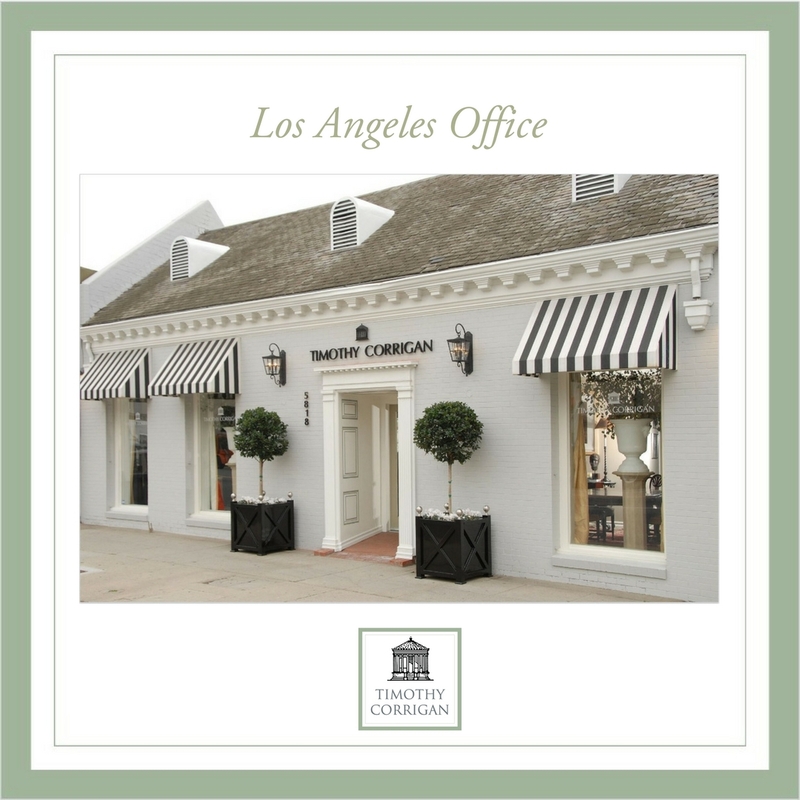 We want to take you on a tour of Corrigan’s Los Angeles design offices. 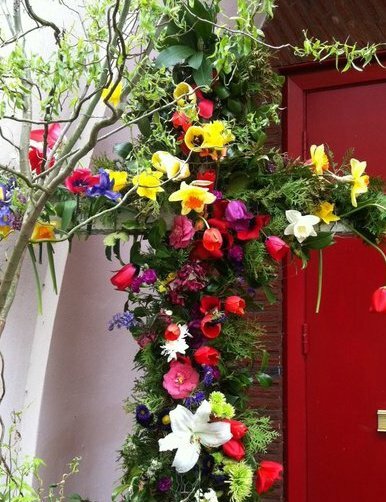 Here’s the classic exterior, with the Versailles planters holding pretty green topiary and lavender colored flowers. We love the extra wide entrance and the urns in Tim’s windows, filled with even more greenery. Doesn’t it look inviting and welcoming? One of our favorite artists, Patricia Van Essche, created this illustration from the above photograph. As our long time readers know, we are big fans of the power of illustration to create an emotional connection to a brand. HADLEY COURT: “What Does Your Workspace Look Like? “We have two conference areas in the front of the office, each with antique tables and chairs, a private office for our accounting department, and a kitchen. 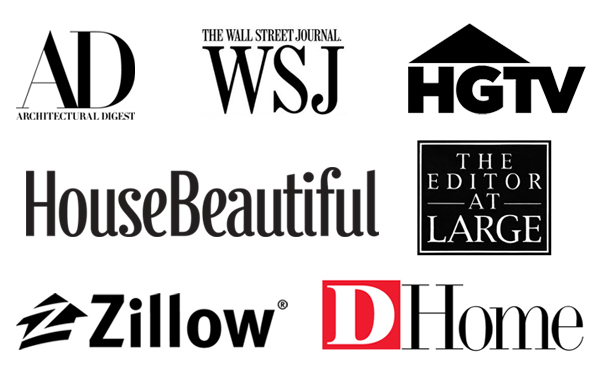 We are particularly proud to have one of the largest resource libraries of any firm. It is filled with bookcases of architecture, design and landscape books that have been collected over the past 30 years. Our fabric library is divided by color (prints and plains), stone and tile, wood finishes and product catalogs. Because we have never had the luxury of a full-time librarian, the whole area is, sadly, not as organized as it should be. 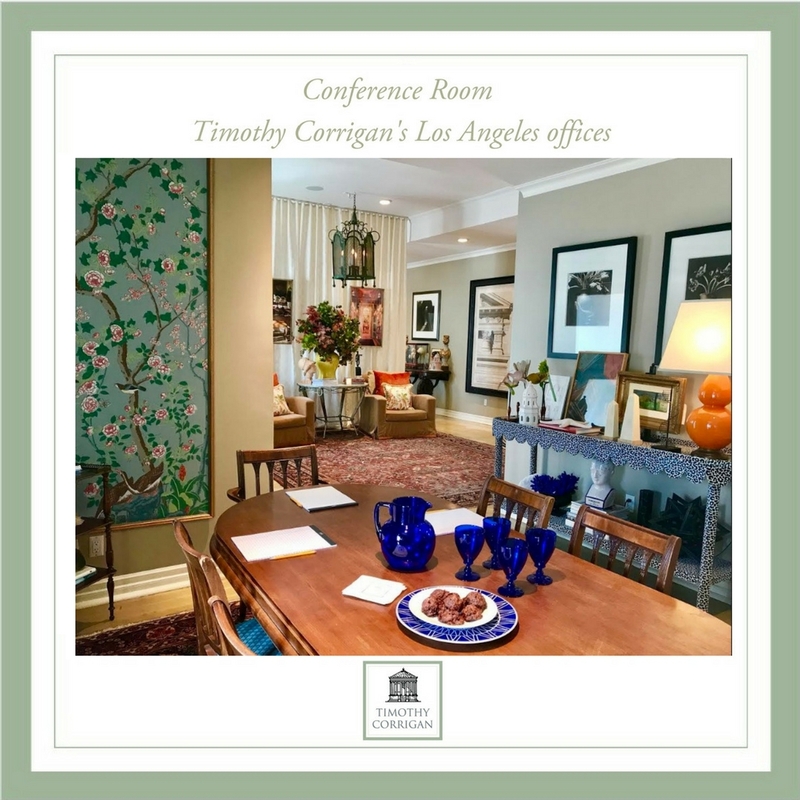 We love the collected, comfortable, artful mix in Tim’s conference room and can imagine how all of these objects elicit questions that start fascinating conversations! 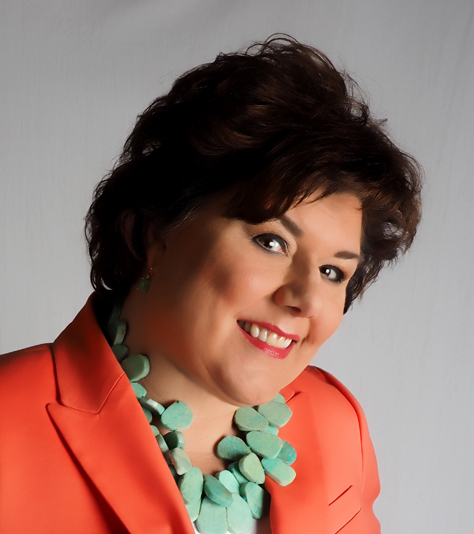 HADLEY COURT: ” How Do You Set The Mood For Client Presentations? 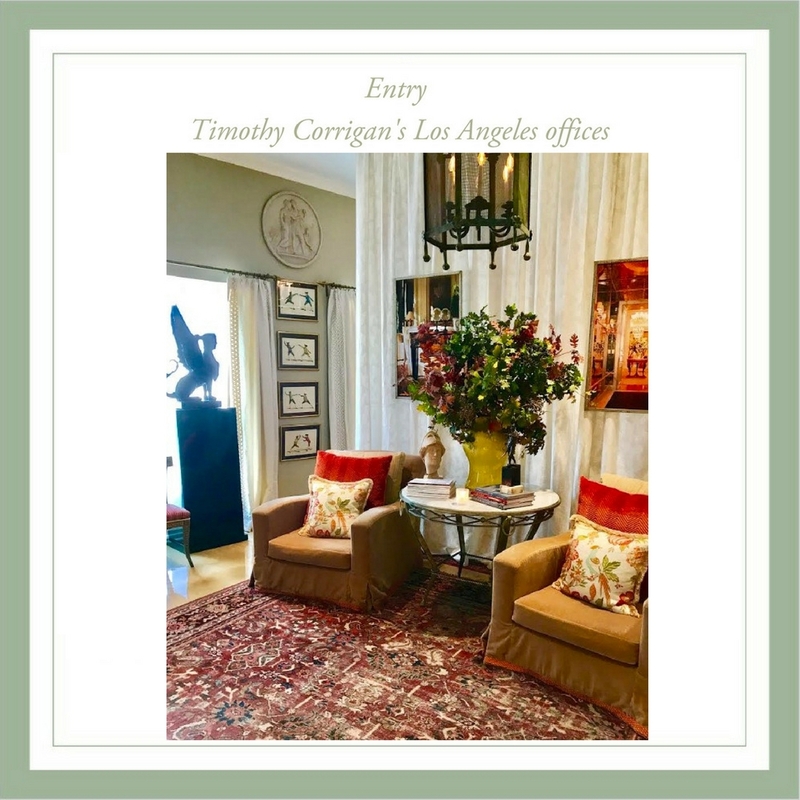 Timothy: ” While it would be easier to do our client presentations at our office, we usually do them at our client’s home. We use masking tape on the floor for furniture placement, which helps our clients visualize and feel, spatially, how our plan for them will work. In addition, because colors look so different in different lighting conditions and from one place to another, we prefer seeing the fabrics, wallpaper and paint colors in our client’s actual home. 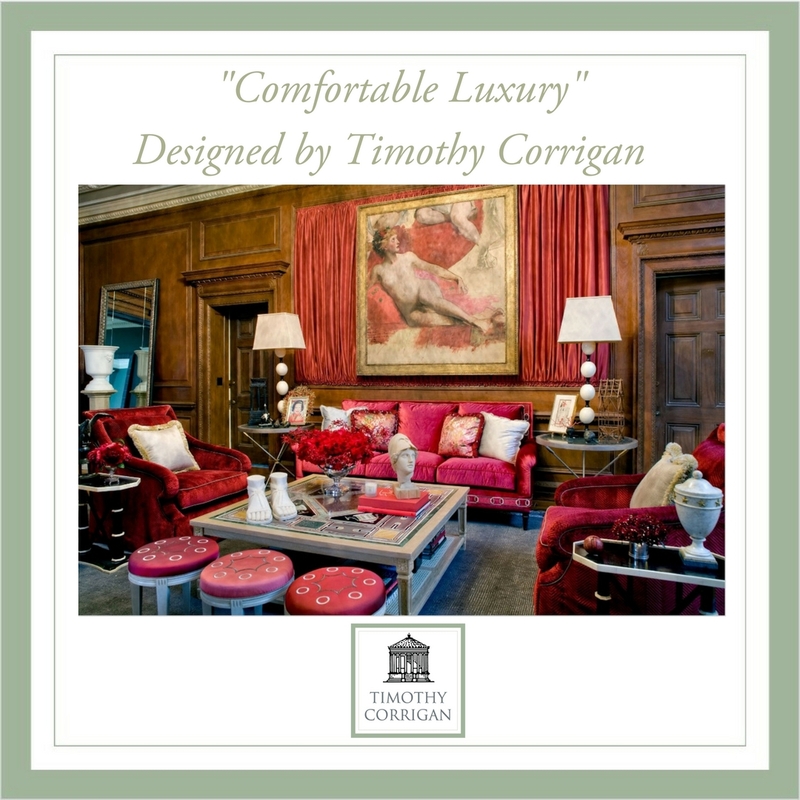 Timothy: “Our client’s are presented with floor plans, elevations, fabrics and finish samples during the presentation. If they need time to live with the fabrics, then we will leave the samples with them. Generally, once a decision is made, we request that the samples be returned. Every client is given an updated budget whenever proposals are sent so they know exactly how the job is going against the originally agreed upon budget. We asked Timothy to send us two images from his body of work – and we present them to you below. 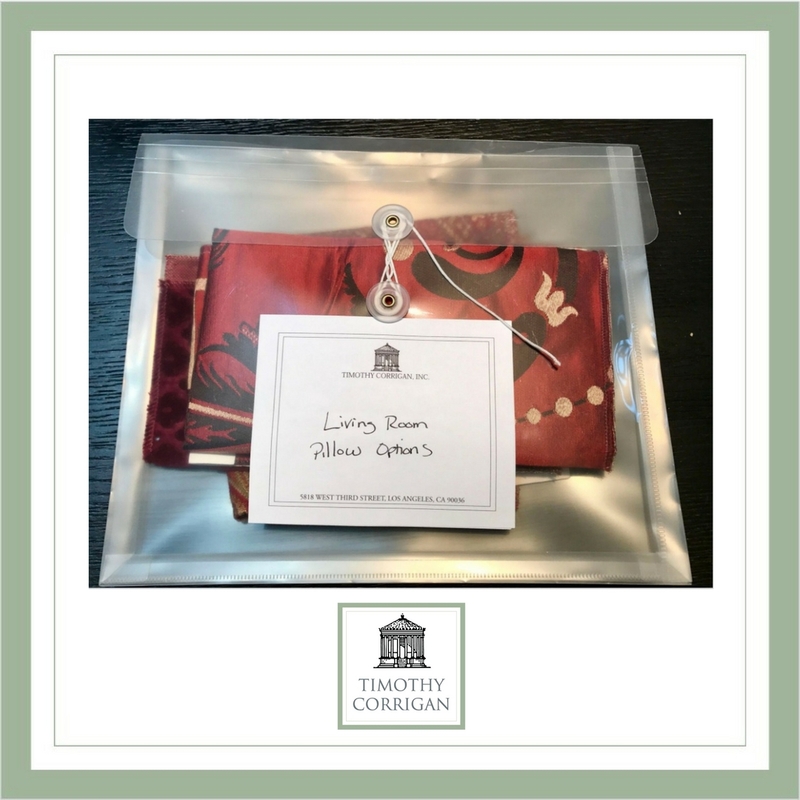 Timothy: we can’t thank you enough for providing our readers with such wonderful insights into your design presentation process. We wish you every continuing success! 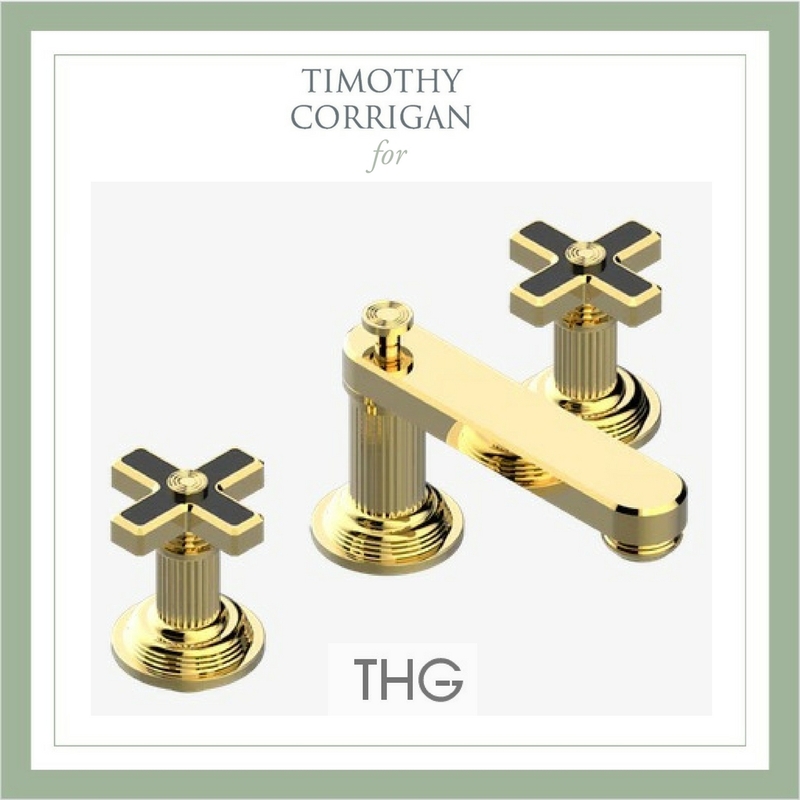 Dear readers: we hope you have enjoyed Part 2 of our series with Timothy Corrigan and we invite you to click here, to see Timothy’s designs for his new collaboration with luxury bathroom fixture manufacturer, THG – Paris, which we swooned over when we saw them in person at the recent Design Bloggers Conference in Los Angeles! 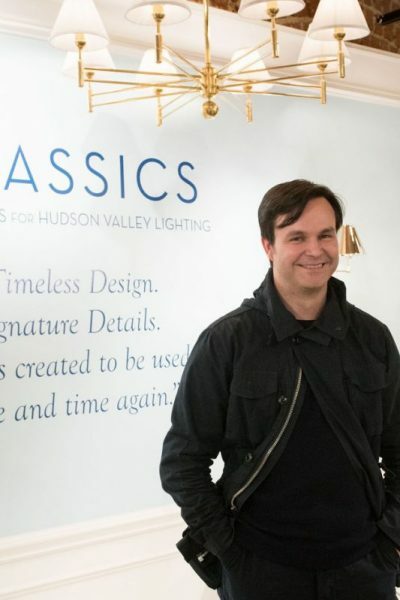 Part 3 of our exclusive series on *The Inspiring Studios of America’s Top Designers* will be coming up next month on Hadley Court and, until then, we hope we have inspired you to create a more beautiful workspace or office of your own. 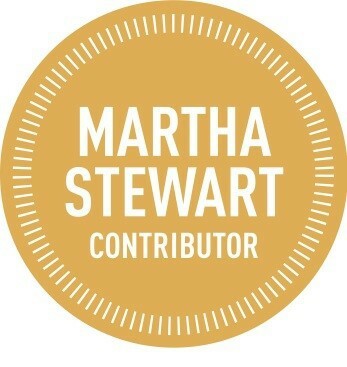 If we have, we’d love for you to tell us about in the comments and, thank you, as always, for reading and subscribing to Hadley Court – we appreciate YOU. Loved it all! Great photos and a very interesting and informative interview!